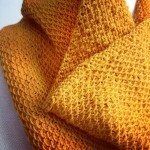 I know I´m going to repeat what has already been said by so many, but it´s amazing how taking up knitting has changed my life! Here in Buenos Aires it has helped my adaptation to this new city more than anything I can think of. Well, painting has helped a lot as well, so I´ll make that a tie. While travelling, tourists normally don´t mix much with locals – for all the obivous reasons, of course. Knitting is an antidote against that, or better still, a pass for tourists to meet locals. 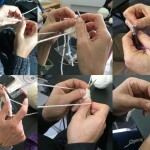 And that´s such an enriching experience, specially because there´s always one common language – knitting. 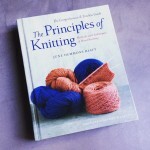 Mention yarn, needles, gauge or knitting and purling and there´s some common ground between complete strangers. That happened to me as well in Sydney. 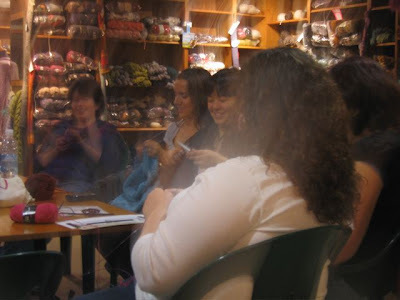 As I mentioned previously, I went to the former Tapestry Craft, now Morris and Sons to buy some yarn and join the knitters´meeting I knew happens every thursday. It was so nice! For two hours, I sort of forgot I was a tourist in Sydney. 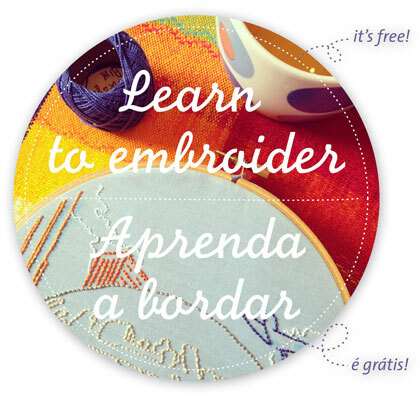 Apart from the fact that I had to speak english (my usual knitting meetings involve spanish), I felt immediately at home and a connection with everyone else. Obviously everyone is different, but what a common ground we all had there! Guys, thank you so much, I felt so welcome! 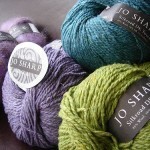 I hope your knitters retreat was nice! (By the way, Jerry Springer the Opera was a very funny and provocative show and the venue, your Opera House, is… well, I guess I have no words to describe how amazing and beautiful it is.) See you soon, next time maybe in Argentina? 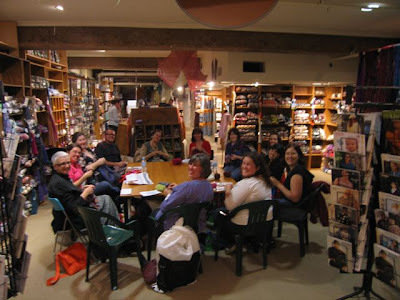 What great photos – we all look very relaxed and cosy. 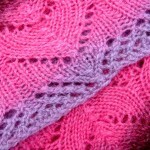 Knitting in Argentina is a most tempting idea, but I can’t imagine it in my near – or even medium – future. One day I’ll get to Argentina – one day…. Gostei de ver os teus trabalhos, são lindos e bastante perfeitos.